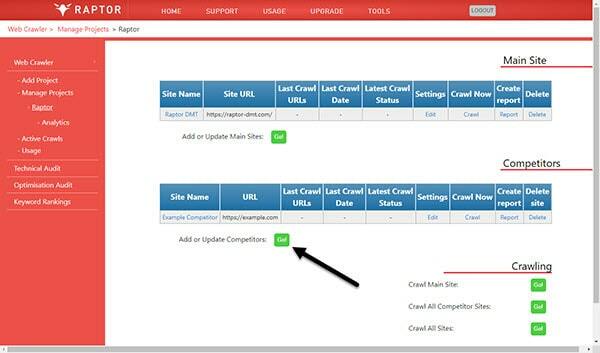 In this guide we explain how to edit competitors that you have previously added to a project in Raptor’s SEO site crawler. 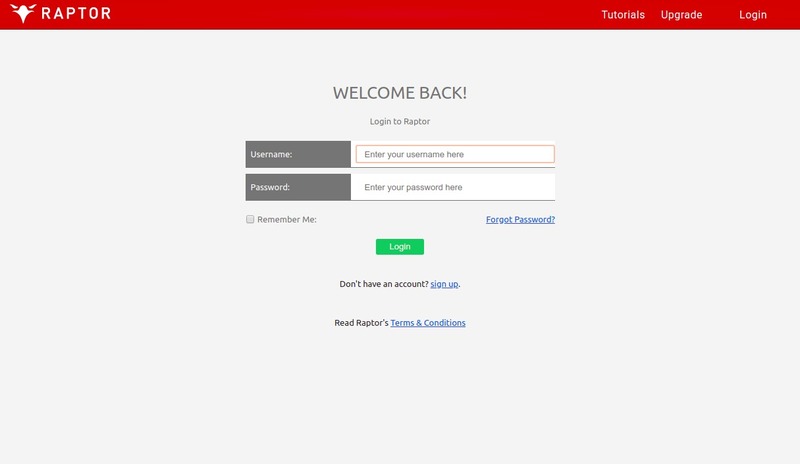 You will be taken to this page, where you can either add competitor details in the same way that would when adding a project. 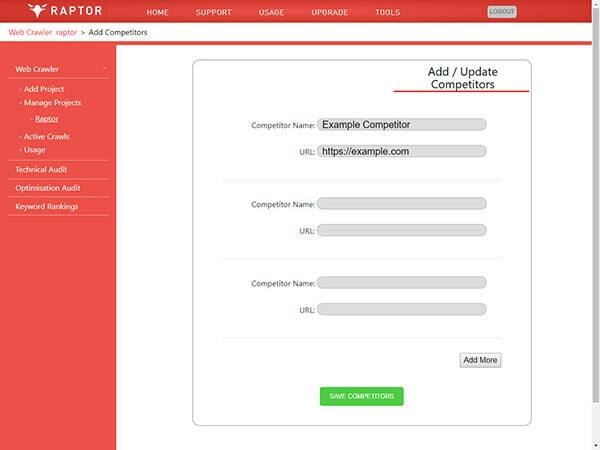 Or you can edit existing competitor details that you have entered previously.